CECP’s Giving in Numbers is the unrivaled leader in benchmarking on corporate social investments, in partnership with companies. It is the premier industry survey and research, providing standard-setting criteria in a go-to guide that has defined the field and advanced the movement. CECP has the largest and most historical data set on trends in the industry, shared by more than 500 multi-billion-dollar companies over nearly 15 years, representing more than $250 billion in corporate social investments over that time span. 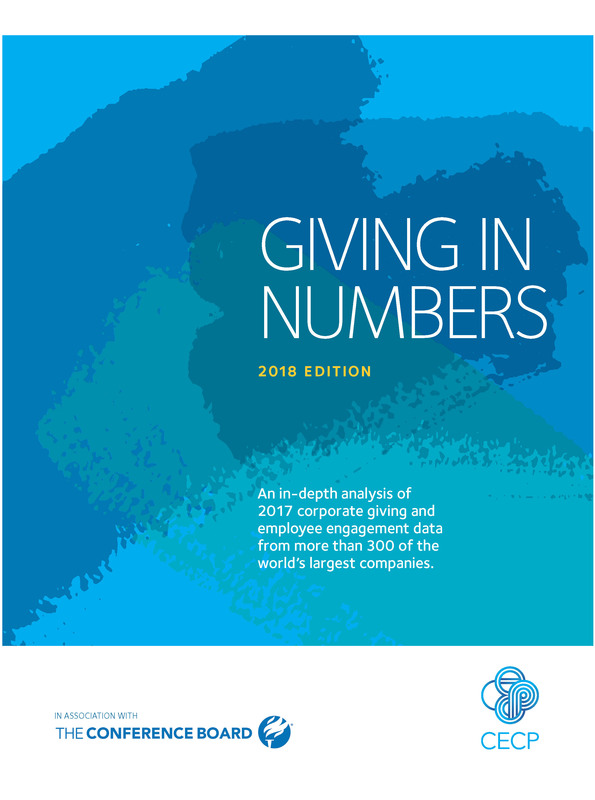 The report is embraced by professionals across all sectors globally to understand how corporations invest in society, with topics ranging from cash and in-kind/product, employee volunteerism and giving, and impact measurement. From quick questions, to presentations to company teams, boards, and CEOs, CECP is a trusted advisor to companies, analyzing Giving in Numbers data to provide customized insights to advance strategy and measure the business value. See 2018 participants.